Wheel thrown porcelain reduction fired to cone 10, decorated with sgraffito and ceramic watercolors. Born into a family of artists, my mother a painter, and my grandparents who have worked in ceramics for over 50 years, I understand the importance of art objects in one’s life, and it only seems natural that I go into the art field. 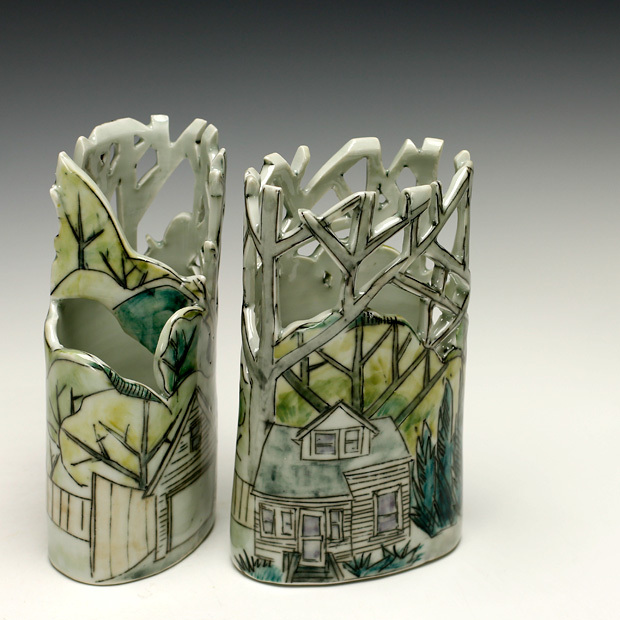 Beginning with small projects in my grandparent’s studio I have always had an affinity for ceramics. 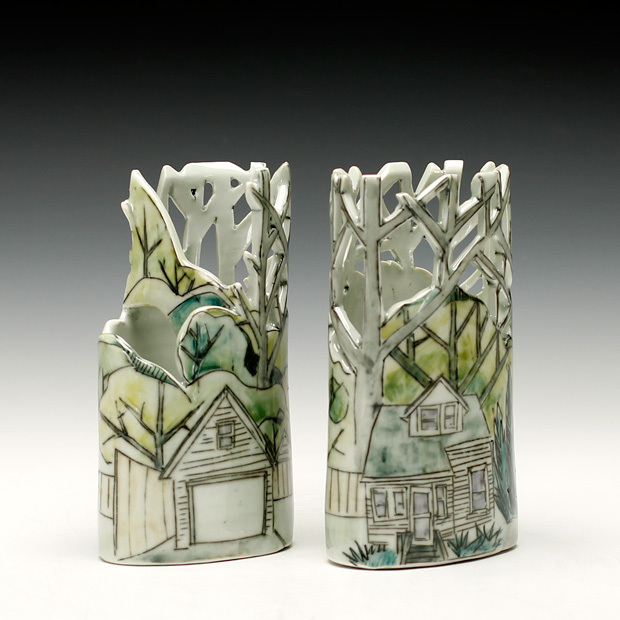 My serious interest in ceramics began at Southern Oregon University in 2004-2008. The influence of the many instructors who came through the ceramics department has given me a diverse ceramic education and helped me to develop an unique voice and style. In the summer of 2006 I apprenticed under the French potter Jean-Nicolas Gerard in Valensole, France. Spending long days in the studio, I gained technical skill doing production assistance and studio work for Mr. Gerard. This opportunity also provided time to develop my own work and ideas. In 2010-2011 I studied at University of Florida as a Post-Bacc student. I enrolled in the Masters of Fine Arts program at Lousiana State University in 2011, where I studied with Andy Shaw and Michaelene Walsh during the three-year program, which I completed in the spring of 2014. 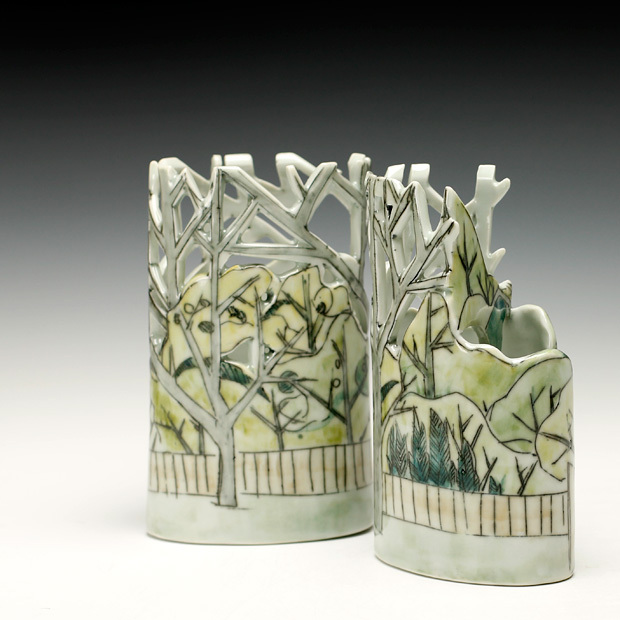 I have recently been awarded the Fogelberg Studio Fellowship at Northern Clay Center from September 2014 to September 2015. 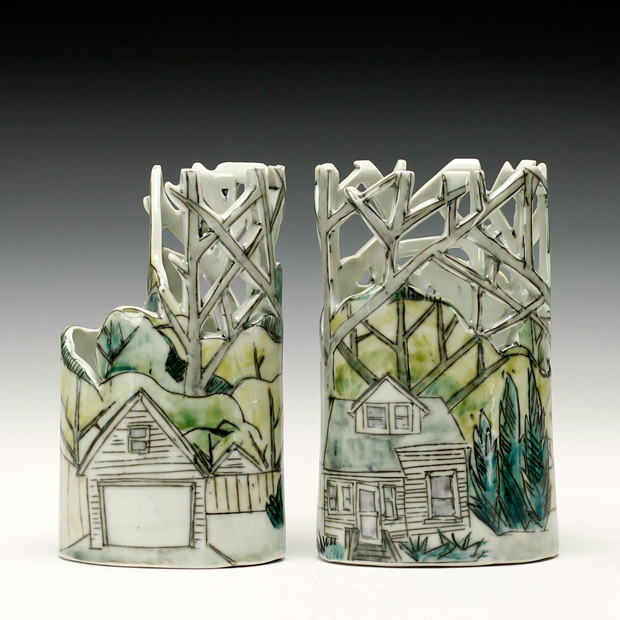 My ceramic work acts as a portrait of the city in which I live. It brings attention to the beauty of the urban landscape, and shows details of daily life that can often be overlooked. 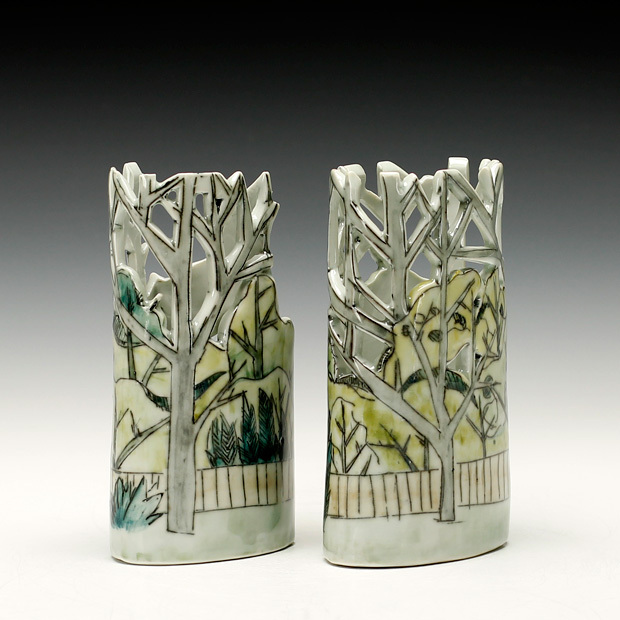 I make functional porcelain pieces illustrated with drawings and observations of the local environment. The elements depicted are representative and unique to the local urban landscape, a local can view the illustrations and recognize their city in the landmarks and buildings, yet the images are also vague enough that the non-local can also to relate to the imagery. 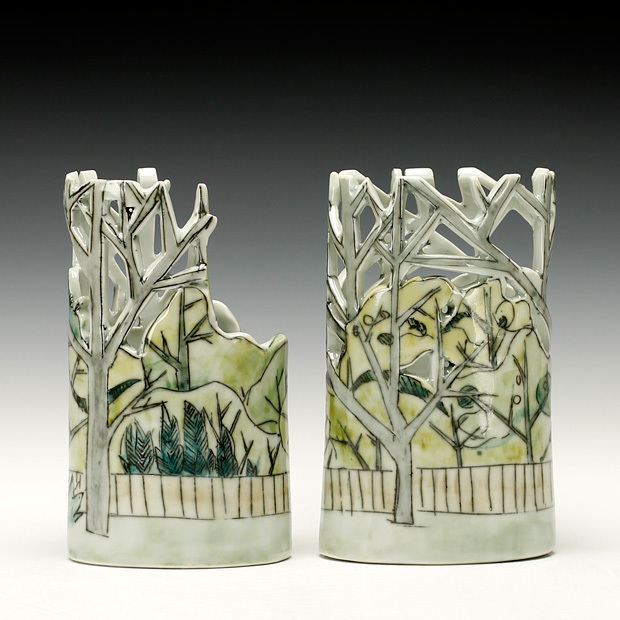 The muted color palate gives the work an unimposing quality, paired with clean lines and the contrast of glazed and unglazed surfaces the work has a sharp quality to hold the viewers attention. Function brings the viewer in contact with the illustrations giving them a chance to investigate the form, surface, and drawings. The viewer can identify with the scene and create their own narrative and relationship to the illustrations.